A charity auction is a great way to bring in the cash! Fundraising auctions are another great way to raise money for your cause. They can take many different forms and can be easily fitted in to other fundraising events. These days as well as traditional style auctions at fundraising events many charities are discovering how to use online charity auctions to raise funds. We have therefore split this page into 2 main sections covering both traditional and online. But first you have to decide what it is you have to auction. Traditionally this has been goods (usually second-hand) donated by supporters. Some companies will also donate new products to a fundraising auction as part of their marketing strategy or simply to show support for a particular cause or community. And that is to ask! Ask everyone you know and approach any companies you think might wish to support you or use your auction as a promotion. As well as goods it is also possible to auction services, skills or experiences. In a traditional auction the price of the goods starts low and rises as rival bidders increase the amount they are willing to pay for something. Eventually a highest bid price is reached above which no-one is willing to pay more. The person who made the final highest bid now has to pay the sum that sum. Successful auctions need a charismatic auctioneer who can encourage high bids. At charity fundraising auctions where people often know each other friendly rivalry can also help push the price a bit higher. Fundraising auctions of second-hand goods are common at fetes and fairs. Whilst auctions of new products, services or company offerings often form part of the entertainment at fundraising charity dinners etc. It is also possible to use an auction to add a quick bit of excitement to another event. For instance using an auction to sell off the cakes from a baking competition or the vegetables from an allotment show. This is a variation on the traditional idea. The auctioneer suggests a high price to start. They then drop the price lower and lower until someone 'bites". The first person to bid wins the auction and buys the goods at that price. Dutch Auctions can turn into a game of chicken. Bidders want the lowest price possible but delaying to long can risk losing out to a rival. Here bidders submit sealed bids for goods. The highest bid at an allotted time wins. A common charity variation on this is to use a silent bid list. A list is attached to the item and those interested write their name and bid on the list. Should someone else then be interested they would then add their name and increase the bid. Popular items will attract many bids and people will return to a list several times to ensure their bid is still the highest and increase it if necessary. Again fierce, but friendly rivalries can develop as people try to out-do their friends. Silent lists are great at fairs and fetes as bids can be made over several hours and the winning bids announced at the end. They also work well as school fundraising auctions children enjoy the competitive nature of the idea- being keen to see their own bid or that of their parents triumph! This is a common workplace charity fundraiser. Rather than goods people donate time, skills or special treats to attract bids. he list really is endless. Everyone can do something. If you have a business such as hairdressing, massage, reflexology offering an auction freebie can also be a great way to market your services to a wide audience and gain new customers. The growth of the web and increased use of the internet has seen a big increase in online charity auctions as more and more non profit organisations take their fundraising online. Fundraising auctions like those illustrated above have always been a popular way for charities to raise funds. Previously these would have been mostly local affairs with people trying to out bid each other for coveted items. The whole thing pushed along by a fast talking auctioneer. The web has changed all that. Now a new generation of internet surfers, both bargain hunters and charity supporters, all experienced from general auction sites such as eBay are a lucrative source of revenue for many charity groups. 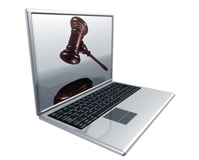 Online charity auctions allow non profits to raise more money in less time. They are also great for advertising your cause and raising your profile. In particular online charity auctions mean that higher value gifts or donations are able to be put before a much larger audience of potential buyers, not just from amongst a charity's supporters. The items therefore attracting the very maximum attention and revenue. This can also help with requests for suitable donations. Many companies will be far more likely to "stump up" if they know their gift will be presented on a national or international platform. Indeed many companies will use charitable donations as a marketing tool to generate a buzz about certain products, for example tickets to Film Premieres. Many donations received by charities also come via the personal contacts of a supporter but sometimes the value of that cannot be fully realised at the local fete!. An online charity auction allows the true value of such gifts to be made. The other advantage of holding your fundraising auctions online is that they can take place any time, not just when you have a fundraising event taking place. If you have enough donations they could become a permanent part of your fundraising plan. If you have your own website and the technical know-how you can simply list items and invite bids. This method is however time consuming and limits the reach of your charity auction. There are no shortage of these. They list your items on a great looking site that, being properly promoted and marketed, will attract the maximum attention for your items. At the close of the auction they take a percentage of the final price as their fee. Most allow a blurb and logo from your charity to be shown alongside the item in order that potential bidders know who their money will be helping. You should be aware however that not all purchasers will necessarily be supporters of your organisation. They just want that handbag donated by Sarah Jessica Parker or the tickets to the latest Bruce Springsteen Concert. Oh well... as long as the cash comes rolling in! The Big Boys in this business are Bidding For Good, Charity Buzz and Charity Folks. There are also a number of smaller companies which offer smaller scale tailored solutions for those of us who are not so large and important. This is probably the easiest way to run an online charity auction. Once registered not only can non profit organisations list their own items at preferential rates. But also charity supporters, be they individuals or businesses can donate a proportion of any eBay sale to a charity of their choice. Every eBay for Charity item is marked with a blue and yellow charity ribbon in the item listing title along with the percentage of any donation. At the completion of the auction the purchaser makes their payment in the normal manner and eBay make appropriate payments to the charity concerned . This really is a simple way to run online charity auctions. It costs nothing to register your charity and once set up anyone can choose to donate eBay revenues to you. A simple email to your supporters will have them scurrying to their attics to find "eBayable" bric a brac to sell for you. It's a great way to engage your supporters and get them working for you your cause. The beauty of the programme is that it works from where-ever you are in the country. A supporter many miles away can still be making an active contribution to your fundraising. Professional retailers operating "eBay stores' may also make donations to charities through the eBay for charity programme. Many have found making a percentage donation to charity, for instance a toy store donating 5% of the cost of certain purchases to a children's charity actually helps increase sales generally and is a very viable marketing exercise. More details about eBay for charity can be found on their website. Do sign up though. It is pretty much one of the most simple fundraising ideas you will ever come across. And can bring in good returns.